Our conversation with Michelle Balconi. 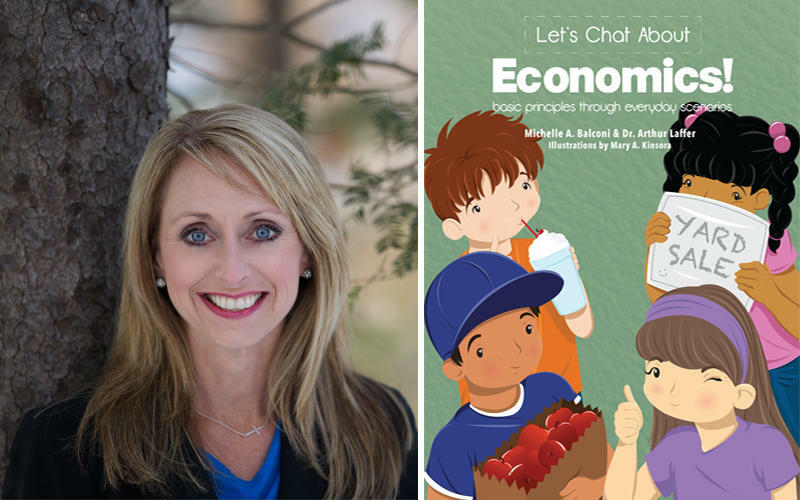 Michelle Balconi believes you can make economics something to “chat about” – and you can do it in a book aimed at children. She’s a writer and a mother from Grosse Pointe Park who has teamed up with renowned Reagan administration economist Arthur B. Laffer and Clinton Township artist Mary Kinsora to create the book Let’s Chat About Economics, a nuts-and-bolts guide to economics. “We have two children and had never had a book that discussed economics, but the idea came from seeing Dr. Laffer speak a few years ago in Detroit and having that feeling that I wish our children were there to see the presentation,” Balconi said. She said Laffer spoke that night about basic economic principles and the importance of understanding those principles amidst political talk. After attending the talk, she had “a really great discussion” with her kids and knew that a book would be worthwhile. With Laffer's help and commitment, Balconi set out to do just that. “Ultimately we felt that the best introduction of economics was to explain it with everyday scenarios so children wouldn’t have to make a leap or an inference,” she said. They created four relatable scenarios and planned out the economic lessons of the book, whose intended audience would be families with third, fourth, or fifth graders. “We’re hoping that kids begin to see the value of themselves," Balconi said. "If they can understand the value and increase in price of red roses in the month of February, we’re also hoping that they can see themselves as a scarce and unique resource that has tremendous value." Peace and quiet is in short supply for Nick Hoffman, the composition professor at the fictional "State University of Michigan," in the town of Michiganapolis. A mind-blowing encounter with the local police starts the action in the latest book from writer Lev Raphael. Raphael has now written 25 books in many different genres. 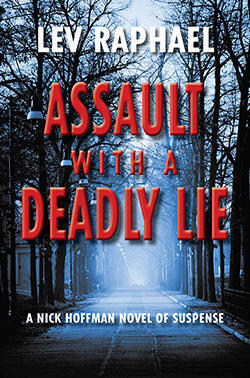 His latest, Assault with a Deadly Lie, is the eighth installment of his Nick Hoffman Mysteries. Lev Raphael also teaches creative writing, popular literature and Jewish-American literature at Michigan State University. This year's Sundance Film Festival has extra-special meaning for a University of Michigan professor. 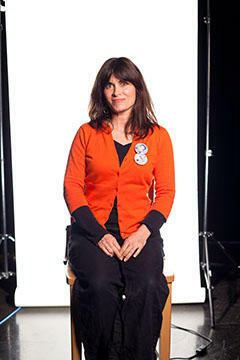 Phoebe Gloeckner is a professor at the Stamps School of Art and Design. Her 2002 graphic novel The Diary of a Teenage Girl has been made into a feature film starring Alexander Skarsgard and Kristen Wiig that will premiere this weekend at Sundance. An interview with author Craig Bernier. 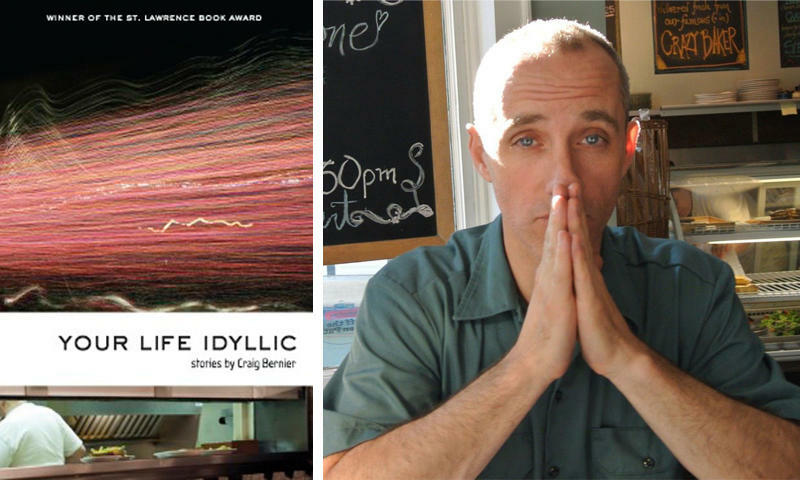 Craig Bernier’s collection of short stories, Your Life Idyllic, is the winner of the St. Lawrence Book Award. Seven of the nine stories in the book are set in metropolitan Detroit — mostly Macomb, Wayne and Oakland counties, Bernier said. One story is set at Ford’s Rouge Plant. It focuses on a man who feels trapped within his dad’s blue-collar life. 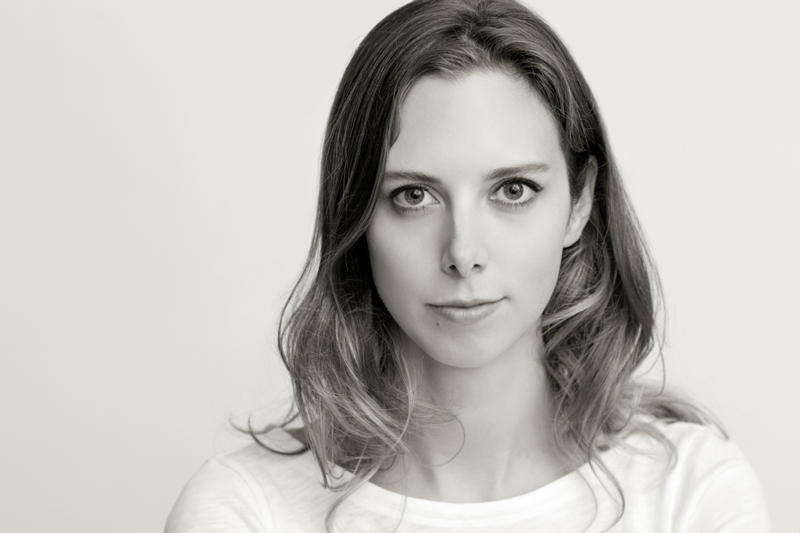 Last week, we told you about Rebecca Scherm, an emerging Ann Arbor author who has broken into the literary scene with her novel Unbecoming.